The IT engineers of tomorrow are being ‘hothoused’ at an innovative IT infrastructure summer camp this week (7th – 11th August, 2017). Following its successful first year in 2016, Novosco Cloud Camp in partnership with Almac Group returns this week at Belfast Metropolitan College’s Titanic Quarter Campus. 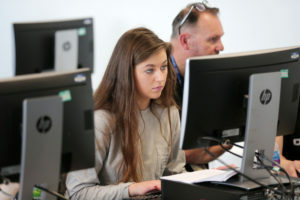 The five-day summer camp, which is free to students aged 16-17 who are enrolled at schools and colleges throughout Northern Ireland, provides first-hand experience in the management and development of IT infrastructure in a fun learning environment. Professional IT engineers and Belfast Met lecturers are facilitating the camp, which also includes a tour of Novosco’s headquarters at Catalyst in Belfast to allow students to see a world-class managed cloud company in action. In addition to free registration, all participants are being provided with a free Raspberry Pi computer to keep. Areas being covered at Novosco Cloud Camp include: networking, Python programming, basic HTML programming, and creating virtual servers. At the end of the camp, students can keep their individual Raspberry Pi mini computers to continue practicing and honing the skills learned at the camp. Novosco Managing Director, Patrick McAliskey, said: “Cloud Camp was a real success in 2016 and again we’ve had a big response this year in terms of applicants. We know that there is demand for IT skills in Northern Ireland and that this will grow. But it is evident from the registrations we’ve had in Cloud Camp that there is also real interest in IT careers. “At Novosco we work hard to develop and retain the expertise we have, but with that comes the responsibility to support the development of the next generation of IT infrastructure engineers, skilled cloud technicians and future project managers. Novosco Cloud Camp is just one part of our commitment to supporting the future of the industry and growing the talent pool in Northern Ireland. 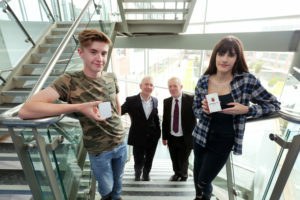 Belfast Metropolitan College’s Principal and CEO, Marie-Thérèse McGivern, added: “It is a privilege to once again host the Novosco Cloud Camp, in partnership with Almac Group, this summer at our Titanic Quarter Campus. Employing 150 people, Novosco has offices in Belfast, Manchester, Dublin, and Cork. Novosco was recently shortlisted for ‘Best Cloud Support Provider’ in the 2017 Computing Cloud Excellence Awards – the only Northern Ireland company to make the shortlist.